Stair case is the linking point of the two floors. According to our traditional vasthushastra it places a significant role. Now most modern designs are available for the stair case. Most modern designs get inspiration from our traditional models. The stair case concept changed a lot. Earlier most of them do not give more attention in the designing and construction of the stair but now most dazzling and affordable designs are available for portrait our interior as unique and elegant one. We can use traditional wood, glass or steel materials to create the stair case. Kerala stair designers can help you to build most beautiful stair for your home. The stair case has the ability to transform the ordinary look of the interior it enlarge the mojo of your home. 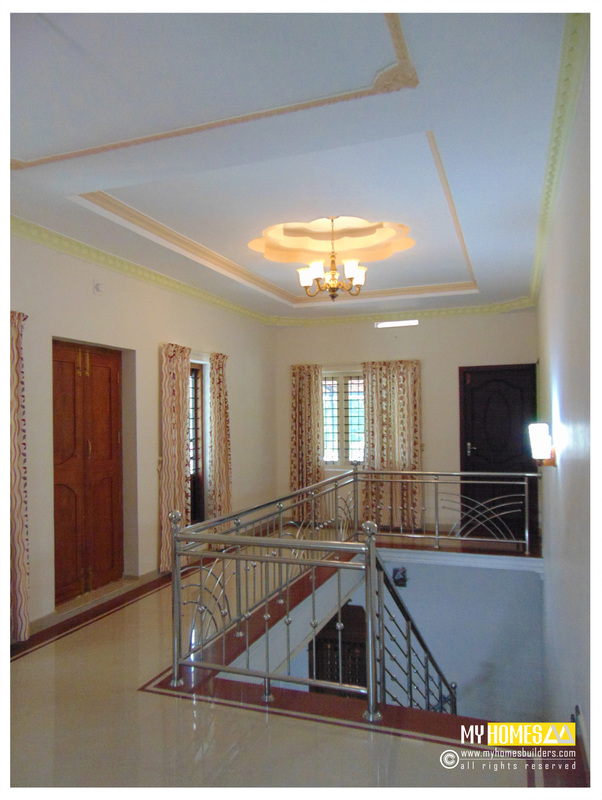 Kerala stair designers are capturing the new and innovative trends in the designing of the stair case. We can make the stair case using effectively in minimum expense. The wall art can create magical look to the stair case we add wall paintings and wall picture can be placed near the stair wall. 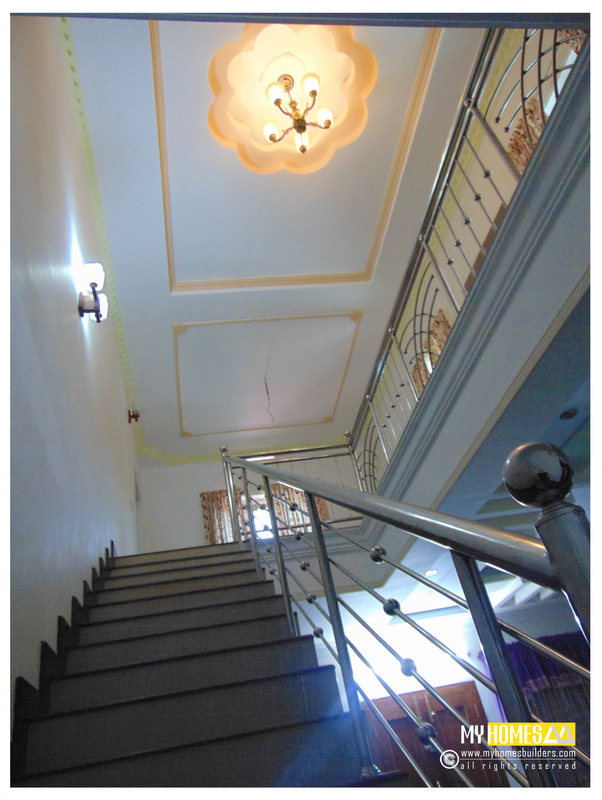 The gypsum ceiling and pended lamps gives a dazzling out look to the stair place. The space under the stair case is efficiently used to create artificial garden or placing the aquarium. We don’t leave the step there are many ways to transform the ordinary look of the steps. The combination of the traditional wooden step to chalkboard is used to write any think, like inspiring thoughts. The wall paper is used to decorate the steps. But it suit to the theme color and design of the interior. Plenty of collection is available for you. And the floral wall paper is decorating your stair. The color full floral wall paper’s change total out look of the staircase. The traditional wooden stair case can be change with the use of the paint we can add the color, dipping the edges with white or other suitable color. In contemporary designs are more affordable. You can consult our team to finalize how to make your stair more attractive. The cost of Staircase design in kerala is comparatively low. The quality material used for constructing the stair case ensures the long lasting of the decorative articles. Railing of the stair may be steel or wooden. While select ting the railing the most significant point is that it is strong to ensure security.